This is a guest post by Anita Campbell. When my company, Small Business Trends, LLC, first purchased BizSugar in the summer of 2009, the best way I could describe it was as a miniature version of Digg, except that BizSugar focused soley on sharing information geared toward small and mid-sized businesses. This is still true. But as BizSugar has grown over the last couple of years, it’s also become a small business networking site where business owners can discuss issues, get and give advice, and gain insight into the ins and outs of running a small business. As the site has changed and evolved, so have I, both in my understanding of how the site functions best, and how to help it continue to grow. If you’re considering acquiring or building a user generated content site, here are a few things I’ve learned that may help you. makes sense for BizSugar. Pligg has improved a lot since we acquired BizSugar, but we had to learn many of its quirks. We tried working with a few developers who said they knew the software, but in reality, they didn’t. Because it’s not as popular or widely used as WordPress, it’s difficult to find developers who know Pligg well. We were fortunate to find a developer well versed in PHP, and who was willing to take the time to learn Pligg with all its idiosyncrasies. We invested in him learning the software, and he’s now a full time employee. Whether you learn it yourself, or find someone who knows it or is willing to learn, and whether you use Pligg, WordPress, or some other CMS, it’s essential to be able to fully administer the site from the back end. Take the time to learn which features to use and which to ignore because they don’t fit your strategy, or your market. A community does not build itself. Many entrepreneurs and companies will launch a community site only to be disappointed six months later when nothing much is happening on it—when it’s a ghost town. You have to bring energy to it, and you have to “prime the pump” at first, until enough people know about the site that momentum builds on its own. In order to accomplish this, we implemented initiatives like our Contributor of the Week, where we interview and recognize valued community members. We also run contests on BizSugar to bring attention to it. And we highlight top contributions in our weekly “Top 10” newsletter. Reward your members for contributing and participating, and your community will not only grow, but thrive. Many people think a web business runs itself. I know of very few that do. The idea of “passive income” is an alluring one, and there may be some ways to create that, but a small business networking site isn’t one of them. For instance, Pligg sites are magnets for spammers and those who try to manipulate the voting, so you have to actively manage the site, or it will be overrun with spam, effectively killing the community, and the site. BizSugar sees more than 10,000 spam entries every day. The best way we’ve found to combat this is a combination of technological spam filtering and manual moderation. Automatic spam filters only go so far, so having a team in place to actively manage the site is essential. Without our moderation team, BizSugar would be destroyed by spam in the space of a week. Make sure you have a moderation plan in place before launch, or your site could be dead before it even really gets off the ground. BizSugar’s target market has always been — and remains— small businesses and entrepreneurs. We’ve worked to stay true to that niche. Many people have suggested that we expand the site to include other topics such as entertainment, sports, and the like. But once you stray from the site’s original intent, it becomes far less valuable for your niche market. Small business information isn’t as exciting as celebrity pics, and the business information would quickly get buried if we tried to expand into unrelated topics. We’d prefer that small business information shine and take center stage, and our members appreciate that because that is where their interest lies. We want BizSugar to be known as the place to find blog posts, tips, and advice from small businesses, for small businesses. It may take longer for your site to take off and grow in your chosen niche, but the end result will be worth it. And really, does the Internet need yet another celebrity pic site? Offer something of value, and your members will reward you for it. Shortly after acquiring BizSugar, we redesigned the site, keeping it fairly simple. We made the navigation more prominent, and eliminated several extraneous features from Pligg. Just because a feature is included in the software doesn’t mean you have to use it. Also, by our moderators being ruthless in eliminating off-topic information or borderline, low-quality content, our users have only the best content available to them, and don’t have to slog through spam to find useful, actionable information. We are continually working to improve BizSugar, to make it better and easier for members to use. Just a couple of the initiatives we’re currently working on are integrating Facebook and Twitter logins, and adding more community features. Some of the ideas for optimizing the site’s usability have come from our members. Because they’re invested in the site, they have an interest in seeing it succeed, and in helping us to improve it. We’re appreciative and grateful for the suggestions we receive from members. That level of interaction and interest in the site is a testament to the work we’ve put in to make BizSugar a useful, trusted site. There’s so much more that goes into building a community site like BizSugar, but I’ve found these five lessons to be the most helpful in continuing to push the site toward success. BizSugar wouldn’t be what it is without the outstanding team I’m fortunate to work with, or without every member who contributes valuable and helpful information to the site every day. And that collaboration is really the most rewarding part of running BizSugar. Anita Campbell is the Founder of the Small Business Trends website and CEO of BizSugar, an online community of small business owners. Wonderful post, thanks for sharing the lessons you’ve learned. Thank you for taken your time to offer this tips for free. I have learnt a lot from you and will keep learning! I am currently using WordPress and Thesis. It is always good to find information on other CMS programs in case I need to change someday. DO NOT BUY the GroupBuyingSite WordPress plugin! BE WARNED! This chap took my money and disabled my site license when I asked for a refund even though I cancelled the refund in paypal and he stopped responding. Just took the money and ran like crazy. ITS A SCAM. The Script will probably not also work. We know that you’re disappointed with GBS but we don’t understand why you would post the above comment (and the many others) since they’re completely inaccurate. Your GBS username with us is “vishy” and it’s still current, if you were to use your currently valid API key GBS will work without limitation; your account is absolutely not “disabled” but you’ve acknowledgment that you know this already. It’s obvious your comments are meant to vilify GBS, regardless of accuracy. The facts are: with a full understanding of the functionality GBS has to offer you demanded we add an obscure feature that our users could not benefit from, we explained that the request would tie up a considerable amount of our development resources and declined to offer it and respectively we requested/suggested you defer to a WordPress developer to help you build your customization, at that point you filed a dispute with Paypal that was ultimately settled in our favor; after the dispute was settled you emailed asking for us to renew your membership and we respectfully declined because of your actions up to that point (which anyone could understand). Now you’ve threatened us with disparaging inaccurate comments that you’re spamming blogs around the internet (this being one of them). We run a respectful, honest company that cares for it’s customers. I would expect you would run your own company in the same manor, instead I see you trying to blackmail us into something against our will by spamming comments on respectable websites like this one. Just a great read. So helpful to get the lessons learned from you and inside story on building up just a fantastic site! Hi Anita, BizSugar is certainly a successful community that provides value to all of it’s members. I always wondered how you were able to keep the spammers at bay and your team does a fantastic job. I also like that the site loads fast which makes it easier to search and find the information I need quickly. Thanks for creating a safe environment for us to meet and share our content. Job well done! Another WordPress – Thesis user here. Valuable input for anybody creating a user community. Even for Facebook. I have just implemented Member Of The Week and Member activity tabs. I’m with Ileane. That’s a tremendous amount of spam to watch. And I imagine that’s part of the value of the site. So many of the sites I come across turn into pitch fests. It really decreases their value. Good job with BizSugar. I’d be interested to know how you decided that was the site to buy. I think community building is probably the hardest but most rewarding step of all these steps. It’s so time consuming, BUT… almost anything worthwhile takes a lot of time! Hello Anita, sharing your experiences with us has been helpful for me and my team. Our main blog-site right now is on a shared platform, and we are just now learning WP and setting up new sites to be more community oriented. One team member hates the spam comments that come flying in but, we know we must put filters in to help manage that mess, rather than close that door altogether. Thanks! PS – BizSugar.com looks like a great site too! We’ll probably be signing up. Excellent stuff, as always. Those are some great lessons. Bizsugar is a great community that provides valuable stuff to all it’s members. I had a hard time handling spam over at Blokube and ended up making it an invite only community. I think Pligg is not as good in handling spam as WordPress. Thanks for sharing these great lessons with us. Keep up the fantastic work, Anita. Great tips! I especially liked the “Actively Manage The Site” tip – you addressed what many believe is the “passive income” myth, when that’s definitely not true. Personally, I’ve been a member of BizSugar for a couple of years now, and it has grown tremendously since then. Thank you for the tips! There’s so much more that goes into building a community site like BizSugar! 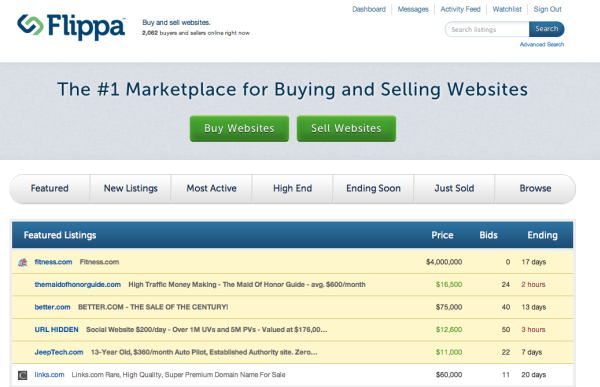 This is a great story about how pligg sites can succeed. Tnks for sharing bizsugar experience, I think it has a huge value for us! Many thanks for this excellent insight, Anita. Remaining focused on one’s target market is so important! Great post!